Last week I had the great pleasure to be able to put my friend Cindy up at ours while she visited from LA. Cindy and I met while studying at Penn State, when we initially bonded over Fly Nap huffing jokes in honours biology lab (yet neither of us use our Biology degrees, hmmm), but we’ve stayed in contact ever since, despite a transatlantic move for me, and three different big city moves for her. With good friendships like this, within five minutes of being in the same room again, it’s like the years apart were never there. In any case, while she was over I said I’d make her something (though I did say something easy would have much more of a chance of actually being made! 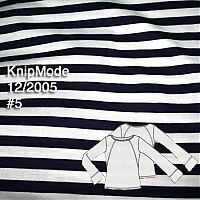 ), and she chose this pattern from KnipMode Dec 2005 out of a lineup. If you remember, this is the same pattern I used for my rose and lace tee last fall. 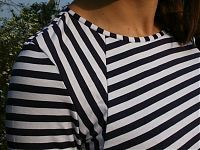 After we decided on the main body fabric, we went through my fabrics again looking for something to use in the contrast shoulder panel, but the laces didn’t look right, and solid fabrics seemed strange, and so Cindy decided she’d just like a regular Breton shirt. But then as I was cutting out the fabric, I had a total A-ha! 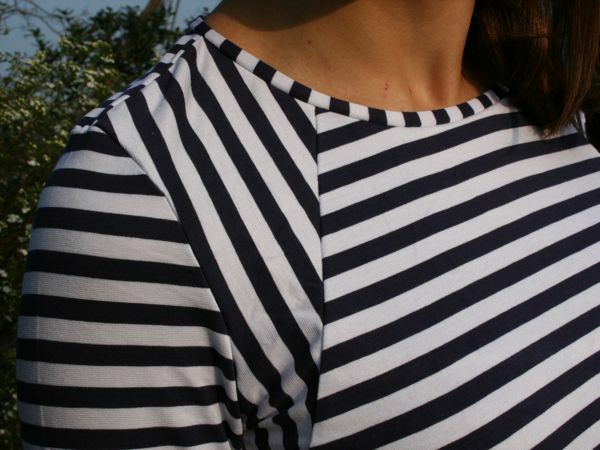 moment and realised I should rotate the fabric so the stripes go vertically in the shoulder panels! I’m so glad I had that idea before it was too late, because I am loving the look now! 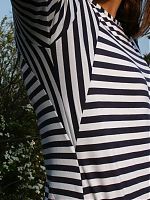 This is the true definition of a “quick knit top” – I did the whole thing on a Sunday afternoon, from measuring her, tracing the pattern, cutting out the fabric, and sewing it together. I even had a truly horrible, stinking boat grey water incident to deal with in between the above stages and I still finished the top in time to go back home in her suitcase! 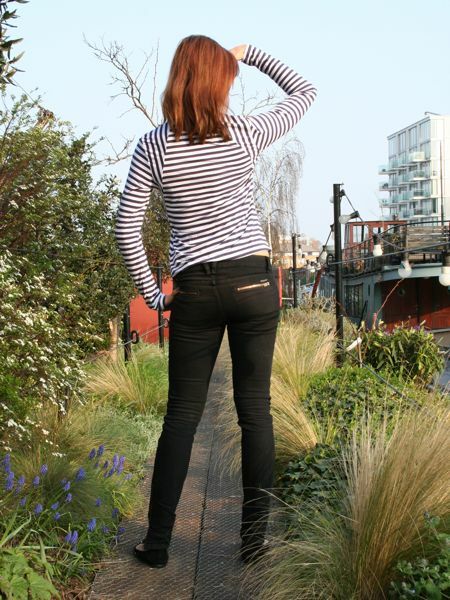 The best part is, the whole time she was here, London had super sunny, warm weather, and LA had clouds and even gasp! a bit of rain! Even so, she specifically wanted a long sleeved tee because she doesn’t have very many in her wardrobe. So it’s nice to have sent her home with a custom made top that fills a fashion void, too! 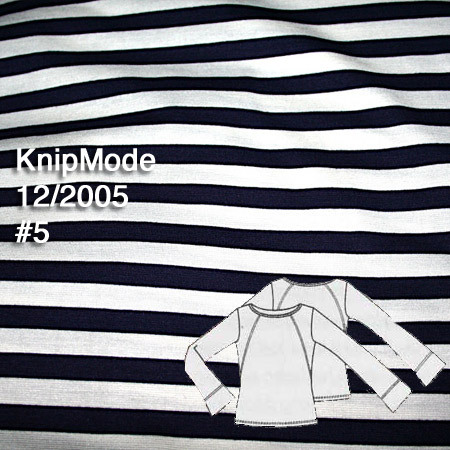 Separator image Posted in Gallery and tagged with knipmode, knit, top.